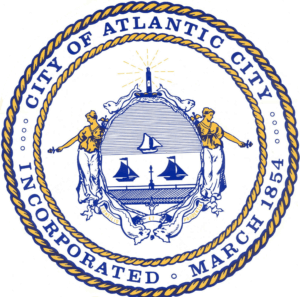 Yes, we agree, Atlantic City is famously known for its casino industry. However, it’s also one of the hottest destinations on the east coast and not for just gambling. Indeed, AC has some of the best resorts in the country. Not to mention, the city hosts several events that celebrate everything from arts and entertainment to family, lovers, and even mothers. In fact, this year’s Annual Mother’s Day Music Festival is right around the corner. So we thought it would be a great idea to remind you ahead of time. After all, mothers are the cornerstone of life, nothing is possible without them, so of course, we must acknowledge all the moms with full recognition. First and foremost, this year’s 9th Annual Mother’s Day Music Festival is going down May 13th at 7 PM at the Boardwalk Hall in AC. Presented by Advancing Families, the event will star Maze ft. Frankie Beverly, Gladys Knight, KEM and Carol Riddick. So to set the tone for the night, we thought a little music and dancing would do the trick. Afterwards, we have something extraordinary to offer you. How does a super affordable luxurious Suite at Caesars or Harrah’s sound to you? Yep, we thought that would get your attention. Actually, Caesars is offering a Romantic Getaway Package. So this is even a great way to celebrate all the moms to be. Either way, you definitely can’t go wrong with a suite at Caesars. Harrah’s in AC offers sleek, modern suites that charm guests with class and detail. The resort is uniquely positioned in the Marina District, so it offers breathtaking bay views unlike anywhere else in the city. With the Atrium Tower Penthouse Suite and the Waterfront Tower Two Bedroom Super Suite to choose from, there’s no way this night can go wrong. So as you can see, AC is the perfect place to celebrate Mother’s Day.